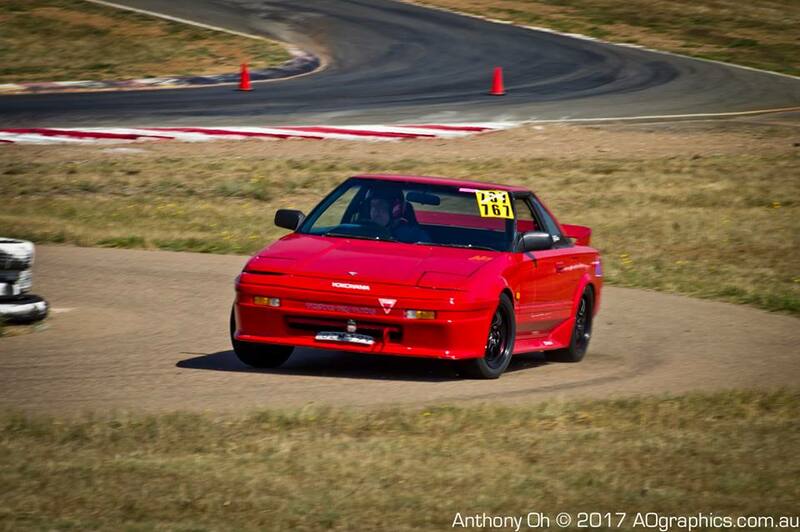 The entry for 2018 MR2 Wakefield Park Trackday Challenge is now open. The event will be held at the Wakefield Park Raceyway, near Goulburn NSW. The dates are 8th and 9th October 2018. Limited spots available. Get your entries in early. Please visit MR2WPC Website for more details and download your Entry form. 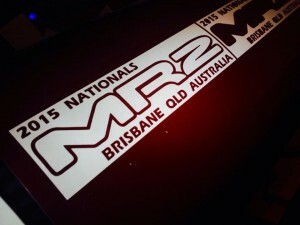 The 2017 MR2 Nationals in Adelaide has concluded successfully with over 30 entrants. Attendees came from all over Australia from Queensland, NSW, Victoria and ACT. Some drove over 4,000km to attend the event. Event photos have been uploaded to AO Graphics Facebook page and this Dropbox link for those without facebook accounts. Stay tuned for the next MR2 Nationals 2019 announcement. The 2017 MR2 Wakefield Park Challenge has concluded. The event was held at the Wakefield Park Raceway which included Hillclimb, Drag Race, Full-Circuit Shootout/Sprint Laps, Passenger Laps and Regularity. Many thanks to the organisers (Peter, Sharon and David) and other volunteers for running the sucessful event. 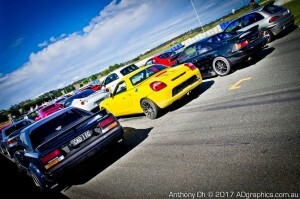 Mark your calendar for the upcoming MR2 trackday events. Dates: Friday 29th September 2017 – Monday 2 October 2017. Open to all MR2 owners. 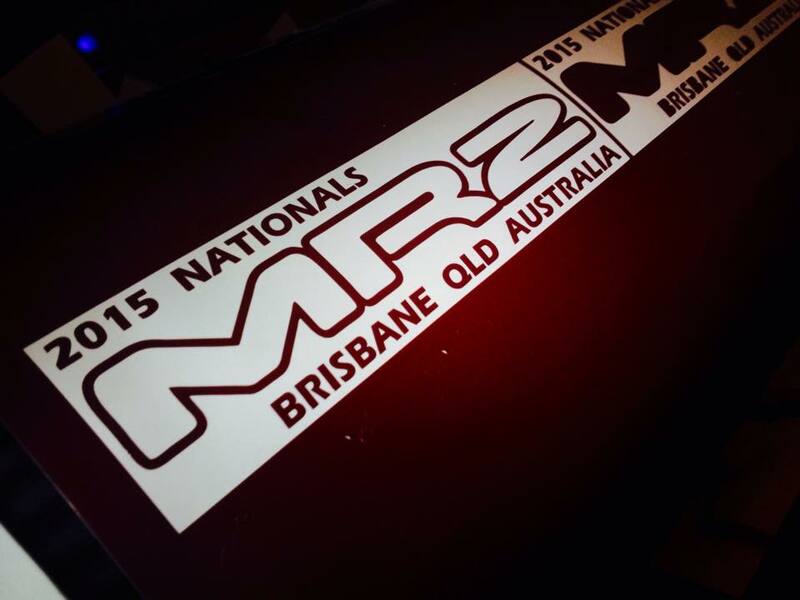 To Register (essential) send an email to nationals@mr2club.com.au to receive an Entry Form with further information. Cost: $50 per MR2 (includes driver, passenger free) this is not much more than a tank full of fuel and pays for the hire of facilities at the Show n Shine & Trophies and the Nationals Dinner venue. 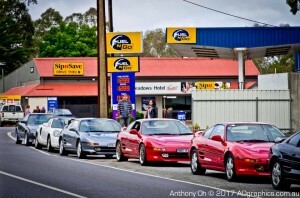 The MR2 Nationals is a bi-annual event that brings together MR2s and their owners from all over Australia for one huge weekend of motoring pleasure. 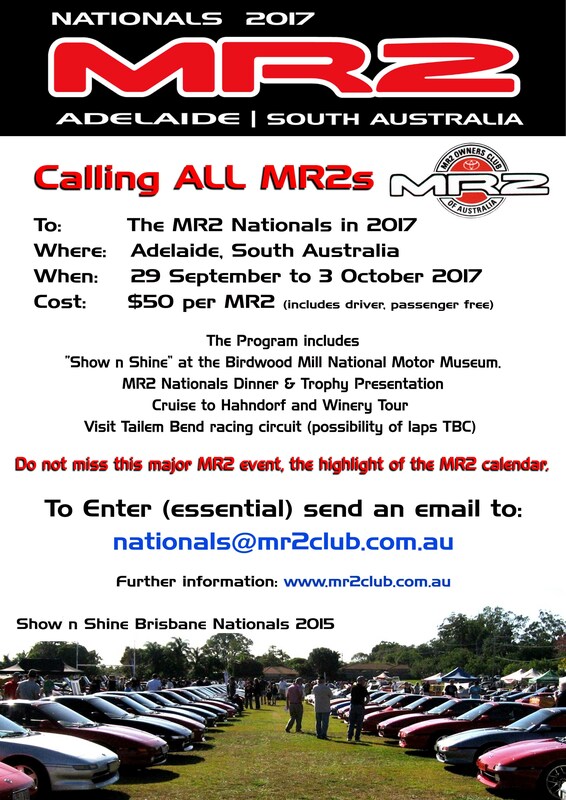 The MR2 Nationals 2017 in Adelaide, S.A. follows the first one in Goulburn 2003, Canberra 2007, Bathurst 2009, Bright 2011, Hobart 2013 and Brisbane in 2015. 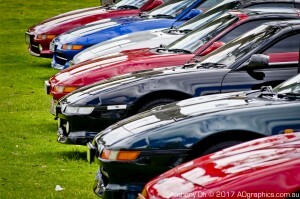 Do not miss this major MR2 event, the highlight of the MR2 calendar. Arrive and Registration. 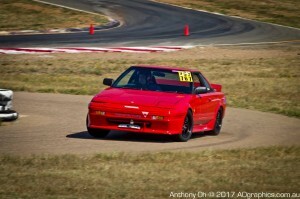 MR2 Nationals Headquarters Booked and locked in!! “Show n Shine” at Birdwood Mill National Motor Museum, Museum entry included. Booked and locked in!! Saturday evening, the MR2 Nationals 2017 Dinner and Presentation. Booked and locked in!! 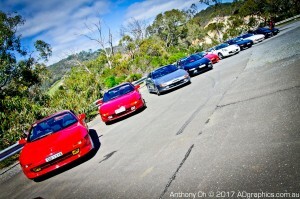 MR2 Cruise to Hahndorf, followed by a winery tour taking in some scenic roads for your driving pleasure. Cruise to Tailem Bend racing circuit (to be confirmed) for a demonstration lap or two. Stay for an optional Four Day Sight Seeing “Tour of Adelaide, Glenelg and Victor Harbour” or Return home at your leisure. The event was held at the Wakefield Park Raceway on 11th ~ 13th January 2016. The event was a success with around 49 cars competing at the various configurations of the race track. The photos from the events are in AO Graphics facebook page. More photos will be available for viewing as they are currently being processed. For those without facebook account, you can download photos from this Dropbox link. For the latest discussions and updates visit MR2 Trackday Challenge facebook page. 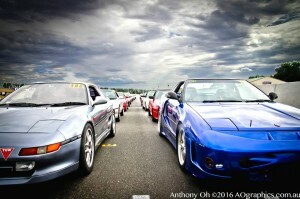 MR2 Australia Trackday Challenge 2015 (MTC 2015) entries are now open. The event will be held on 11th ~ 13th January 2016 at the Wakefield Park Raceway. 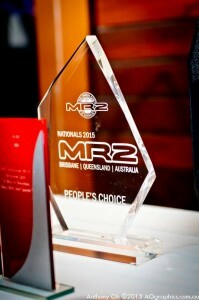 MR2 Nationals was successfully held on the Queen’s Birthday long weekend in Brisbane. The event inluded a track day at the Queensland Raceway, All Jap Show ‘n’ Shine, gala dinner and award presentations, and followed by cruise down the twisty roads of South Eastern Queensland. 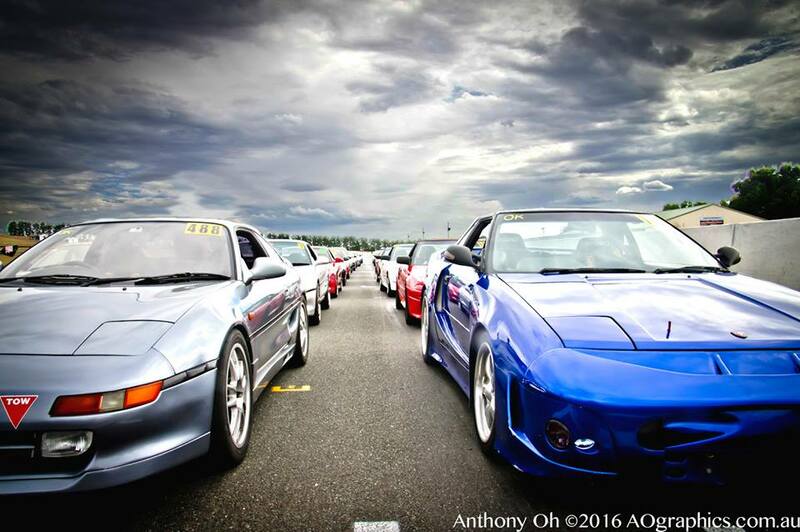 All entrants enjoyed their motoring experience with this superbly well-organised Nationals event by the Queensland chapter of the MR2 club committee and members. Congratulations to the all award winners. Thanks to all organisers, sponsors and to everyone who attended the event and made it a great event. We look forward to the next MR2 Nationals 2017 in Adelaide. Queensland Photos, Karts & Toys facebook page. More photographs can be found at Shannon Beard Photography facebook page. Photographs by Anthony Oh will be uploaded to AOgraphics facebook page and also on this website. If you would like to contribute towards MR2 Track Record magazine (Vic club magazine), please write a few paragraphs about your experience on the event and send it to Ian Morrison (editor@mr2club.com.au).